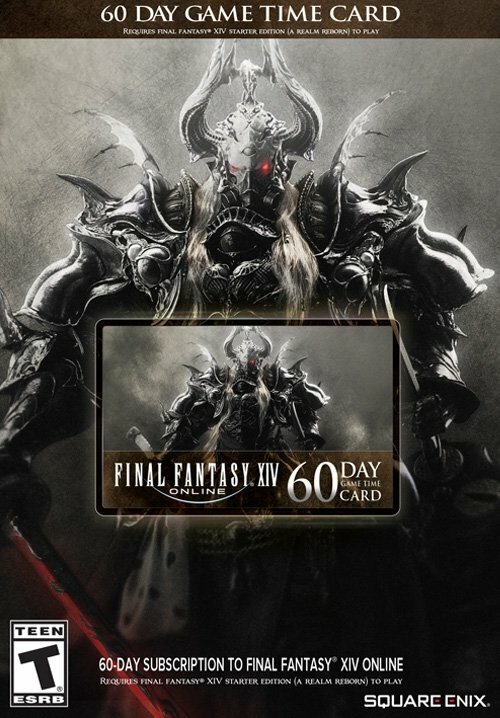 Embark on your epic adventure with the 60 day FINAL FANTASY XIV Online Game Time Card. A great gift for players looking to continue their journey in FINAL FANTASY XIV Online. For assistance, please visit the SQUARE ENIX Support Center at http://support.na.square-enix.com/index.php"
To redeem your Game Time Card code, please follow the instructions below. On the Mog Station screen, log in with the Square Enix account that you use to play FINAL FANTASY® XIV. Click the "Proceed to Payment" button located at the bottom of your selected service account. Note for users that possess multiple service accounts: Please ensure that you are on the service account you wish to add time to before proceeding. You can change your selected service account by choosing from the options listed in the “Select Service Account” above. Click the "Subscription Payment: Game Time Card" button. Enter the digital code from your purchase and proceed through the confirmation screens.